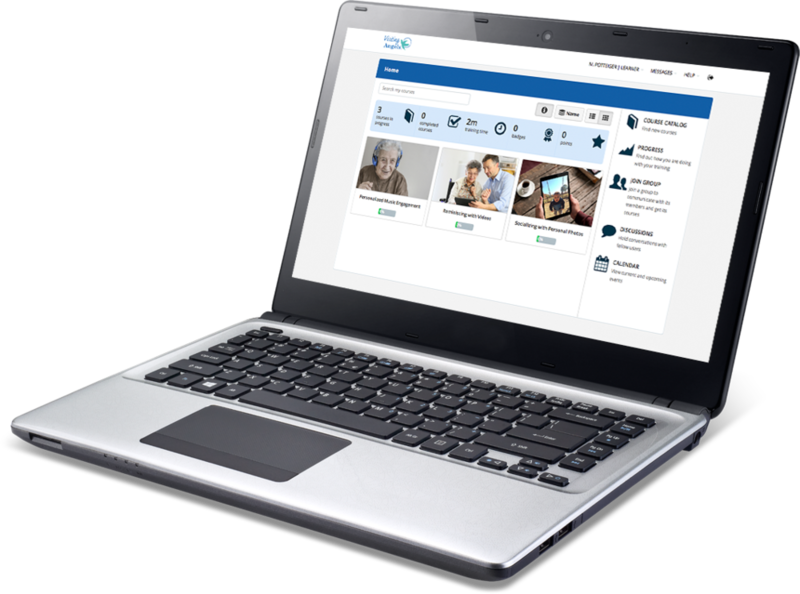 Generation Connect has partnered with Visiting Angels franchises in York and Lancaster PA to pilot a tablet engagement strategy designed to help caregivers make meaningful connections with clients that are living with physical or cognitive challenges. Leverage free services to access personally meaningful music. Choose from an endless catalog of videos to engage clients with video. Use photos from friends and family for socializing. During the Phase 1 pilot, caregivers had success using tablets to help with mood management and relationship building. Our initial pilot with the Visiting Angels in York, Pennsylvania involved a small group of caregivers and their clients. We focused on clients that would benefit the most from increased engagement; most client participants had been diagnosed with dementia and/or had a history of challenging behaviors. Throughout the course of the year-long pilot, we conducted hundreds of surveys, collected data on caregiver tablet usage, and interviewed families to determine the most valuable use cases and business implications. We are seeking Visiting Angels franchises that are interested in participating in the Phase II Pilot. Access on-demand courses for using personalized music, YouTube videos, and client images. If you are interested in learning more about the Phase II pilot, please submit your name, email, and franchise location below. We are working with Visiting Angels to determine specific pricing and dates for the project. Our team will follow up with an invitation to an informational at the end of summer with program details. The following presentation on technology innovation in elder care was presented on June 19th, 2018 at the Visiting Angels National Convention in Philadelphia, PA.